We love creating indoors and out. As well as painting pictures, we make and mend things artistically. 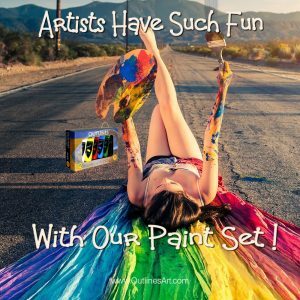 You too can find out how to use materials in paintings and for arts and crafts. Artists share ideas to inspire other artists and beginners to try new techniques and materials and fully explore their own creativity. You’ll find articles about things people make and do, things that happen when doing creative things and ideas that inspire you to make your own art. Browse the articles for ideas and inspiration.